Here is the Renault EZ-PRO, vision, utility, and independent of the manufacturer at the horizon 2030. 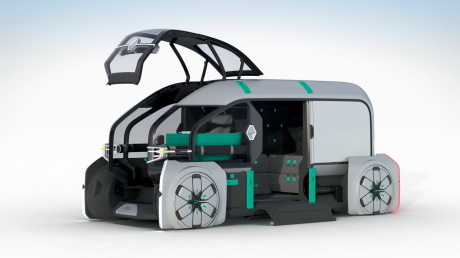 After the Renault EZ-GO, presented at the Geneva 2018, the automaker reveals its second component, theEZ-PRO. Sharing the same platform, the vehicle for the transport of people how robot-taxi turns into a utility. It must make the link between the storage areas in the outskirts of major cities and the final customer, located in an urban area. In fact, this concept is composed of several vehicles : a pod leader and pod followers, the latter may be four in number maximum. However, each pod moves on their own independently. The leader is distinguished by its architecture in two parts. One for the driver, or instead the ” concierge “, and a second, in the manner of a bunker for various parcels and goods. Freed from its function driver, the concierge is there to oversee the deliveries of the different pods or perform administrative tasks. He took advantage of a tablet, but also a small work area on the right. It may, however, regain control of his pod via a joystick. As to the cargo, its volume is 8 m3. 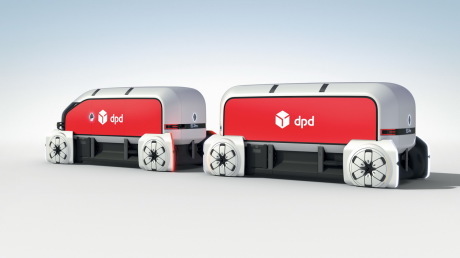 The platform can receive modules, of identical dimensions, but the specific planning following the service sought or the trade to which it applies : mobile shop, lockers for small parcels, large cargo area for cargo, food truck… in Order to be projected on the concrete cases, Renault is working in collaboration with DPDGroup (transport and delivery), Patrick Roger (chocolate in French), or Piper-Heidsieck (Champagne). These pods are impressive : 4,80 m long, 2.10 m wide and 2.20 m high. A template little bit with an urban use. However, Renault said that this format is suitable for most european cities, and the EZ-PRO is equipped with four-wheel steering. But it is especially the cargo volume of 12 m3 . Below this threshold, the delivery of the last mile and are interested in significantly less companies. The use cases of these pods would be multiple. 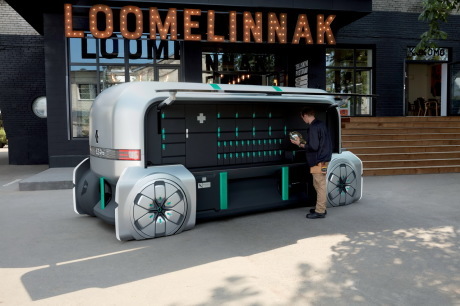 They could provide a tour of grocery delivery to individuals via different traders, to deliver a florist after being stocked in a wholesaler, deliver a parcel to your home or to another place… To ensure that such services with the maximum security, the autonomous control must be 100% reliable; but also the access to the goods. Being connected, the pod is visible in real time by the recipient via a smartphone application, the part loading is then unlocked through the same system. The Renault EZ-GO, EZ-PRO will be present at the Renault stand in the World of the Self to the sides of a third project EZ. The latter should be a vehicle, putting the emphasis on fun. With this concept, Renault plans to 2030 and focuses on four areas : electric, connected, autonomous, and sharing. 300 miles and a cruising speed of 70 km/h. Renault provides a charging by induction dynamics (the vehicle is charging while driving). 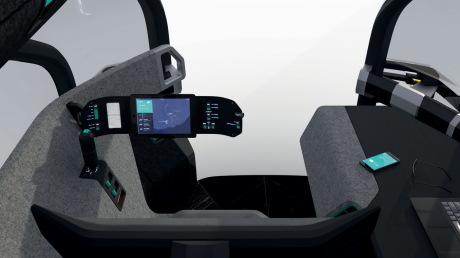 The vehicles of the future will logically and the EZ-PRO will be able to count on a system already in place. The commercial vehicles of the Renault range to benefit from the Easy connect for fleet, to facilitate fleet management through a secure system. This helps to reduce the costs of use and allows you to anticipate maintenance. The function is totally autonomous is not on the agenda, but the ADAS (Advanced Driver Assistance Sytems) or driving aids will evolve. Via the Renault Rent LCV and Renault Mobility, sharing solutions commercial vehicles and corporate fleets are already available on the market. Access and travel in urban areas will be more stringent in the future. The sharing could be a solution to this problem.